Nothing But the Truth Publishing, 9781946706997, 256pp. 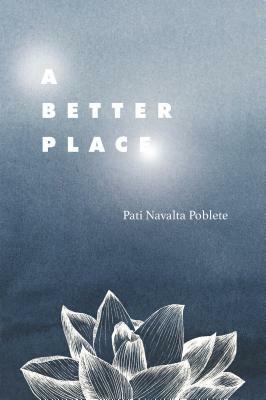 Pati Navalta Poblete's world is shattered when her 23-year-old son, Robby, is violently killed. She blames God, gun violence and the town where he was born and died, even herself. Two years later, she shares how Robby's death was transformative for her and many others -- including their family and friends, and even the first journalist on the scene. The Bay Area native takes the reader on a raw, heartbreaking journey from the scene of the crime, to a Buddhist monastery in Northern California, to Asia where she travels for work, to Robby's favorite beach in Hawaii to mark the first anniversary of his death -- everywhere she goes trying to make sense of what has happened. Along the way, she offers glimpses into her and Robby's lives, underscoring what makes his loss so tragic and why every loss such as his matters. Pati Navalta Poblete is a longtime Bay Area journalist, serving as the Community Editor for the Vallejo Times-Herald, News Editor at the Alameda News Group, and Editorial Writer and Columnist for The San Francisco Chronicle, where she was nominated twice for the Pulitzer Prize for her editorial series on the need for foster care reform in California. She later worked as the Asia Regional Director for an international organization that works with national governments and intergovernmental agencies on shaping sustainability policies. She is the author of "The Oracles: My Filipino Grandparents of America" (2006, Heyday Books), and the author of the upcoming book, "A Better Place" (Nothing But the Truth Publishing), to be released in 2018. She is married to Cicero A. Estrella, and is the proud mother of two children, Robby and Julie. She is committed to honoring them every day through The Robby Poblete Foundation.